When you have this much talent to write about it comes easy it can be good and thoughtful of the band without being critical as I know these bands have taken the time to write, produce and record a number of these albums themselves with very little help to push them, that is where I hope to help. This band for instance contacted me through Facebook after they talked to Yvonne Loveland from Voodoo Queen Management and I am so glad that they did, so glad. There are those bands that you feel there is something more with them and something special as well, this is one of those bands with a mix of Tool, Primus ; a song like "Not Here, Not Now" is a great example of that. This was just added today on their Facebook- I had the 2 guitarists and the bass player before this has all four members. The information below was sent to me via Facebook from Nathan Storm the singer for the band. Bio: Lye was formed in the mid 2000's with front man Nathan Storm and lead guitar player George McClintock. The goal of the project was to create a modern metal band with classic flares from classic rock and progressive metal. Their first release in 2006, To All of Those EP, was complimented with the addition of a bass player Dylan Parker and got radio play throughout St. Louis. Then in 2008 Lye, went in to create their first full album. This process lead to the departure of the drummer and left Lye with an album that just didn't meet expectations. 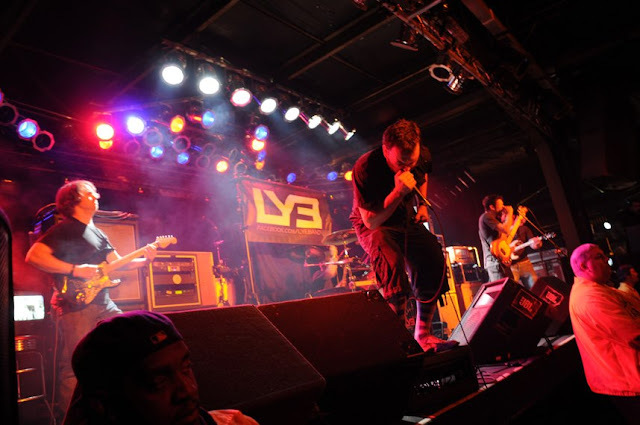 In 2010, Lye set out to create an album that would set them apart from all other albums in St. Louis. They wanted to include any and all influences from modern groove metal masters Meshuggah to classical progressive masters like Tool and Yes. In 2012, Lye acquired Keegan Roundcount and added a guitar player Dave Gregory to accomplish this task. Much talk ensued about the recording style of the album and it was decided that between the skills sets of all the members that they would DIY the album minus the mixing process. In mid 2012, after all the tracking was complete, the album was sent out to Poland to be mixed by Widek Music and Dec 7th, 2012 Point of Origin was complete. 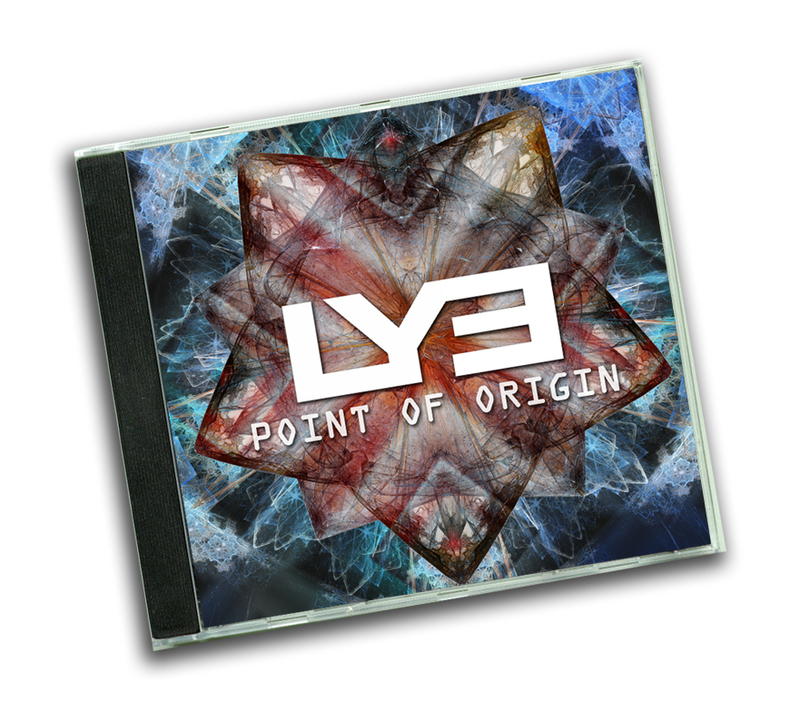 Point of Origin features nearly 50 minutes of material venturing through many colors in the musical spectrum from heavy groove metal to ambient choral chants to sweeping melodic choruses. This album is the point were all of Lye comes together. They have a lyric video out that debuted earlier this year I sadly just saw this today, so am sharing it below. Also they will be opening for Taproot this coming Wednesday September 25th in Sauget, Illinois at Pop's Concert Venue. Taproot "Release Me" video below. This is an incredible album from a band that is pretty well promoting themselves and I am fortunate enough to have been given the honor of hearing it, thanks Nathan! You are totally right sir...This is a great band with not just incredible talent and musical abilities but good people, stay tuned for more...these guys aint done yet!! !